I keep working on little projects to fill gaps on our walls. The more recent ones have yet to make it onto the actual walls…. but that is beside the point. I want colour on those walls! Colour! 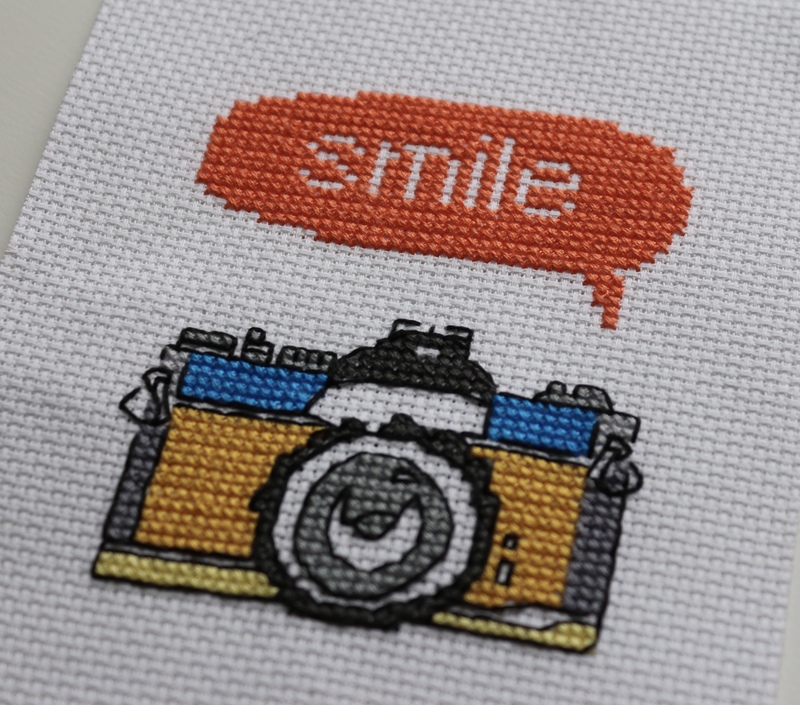 This was a pretty quick stitch from CrossStitcher Magazine, on simple white aida, but with all the colours switched about to whatever I liked the look of. It does a good job of lifting my spirits whenever I look at it, a double whammy of bright colours and message. I cut it to size and backed it with some bright yellow thin foam, with white paper behind the stitching so that the yellow didn’t show through the stitching itself. 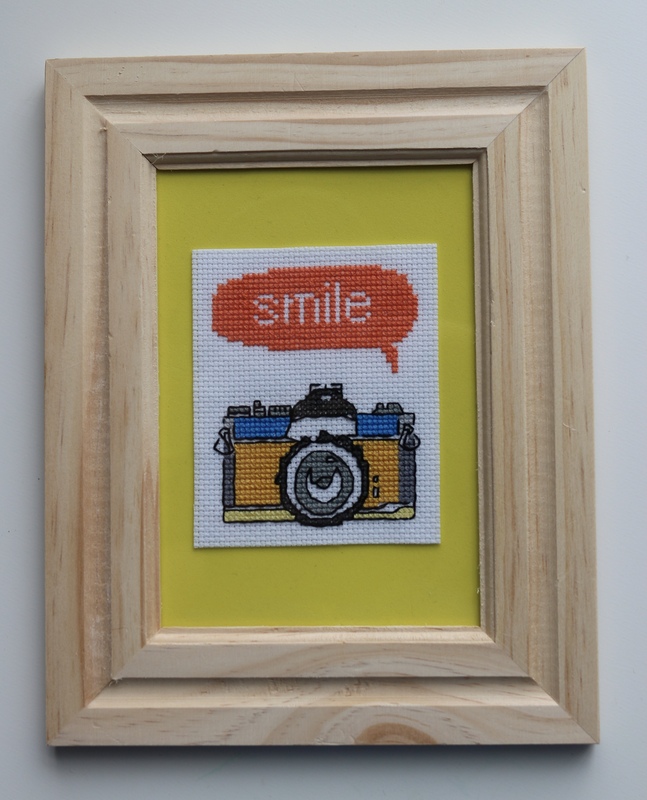 The frame was just a simple wooden frame from Jo Ann.